It is important that parents, church leaders and educators understand the importance of effectively exercising their authority. Many years ago I read about what makes up one’s authority in any given situation. The writer explained that there were four components to one’s authority or one’s power and right to command and exact obedience. These four components that make up a person’s authority were position, competence, personality, and character. 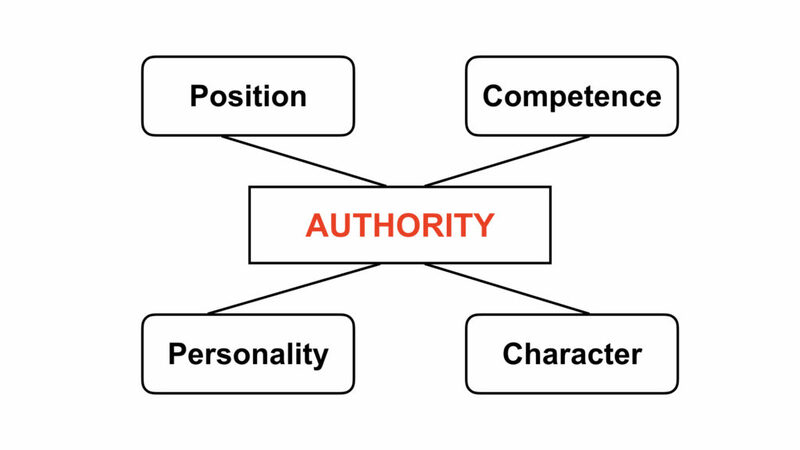 As I thought through these four components of authority, I drew a model like the one below. When a person is placed in a position of authority, he/she is given the authority needed to fulfill the responsibilities of the position. For example, when I was placed in the position of high school chemistry teacher, I was also given the authority of a teacher to exercise in fulfilling the responsibilities of this assignment. The same was true when I was named a coach, a high school principal, a superintendent and even became a parent. It is important to understand that I was only given the authority that was respective to the position I was placed in. As a teacher, I was not given the authority of a principal. As a coach, I was not given the authority of the owner of the team. Positional authority is constant as it is related only to the position a person has been placed in. Competence can be defined as the ability to do something successfully, efficiently and effectively. When I first became a teacher, I was not very competent in the act of teaching. I never had any teacher training nor did I ever do student teaching. If I wanted to gain greater authority in my students’ lives, I had to improve my competence as a teacher. because they wanted to be on the team and get playing time. They didn’t know anything about my basketball knowledge or ability. This changed when a couple of the players asked me to participate in little pickup game after a practice. I agreed and thought this would be fun to get out on the court with the guys. It turned out that they had arranged the game in order to see what I really knew about the game of basketball. They played pretty rough and eventually caused me to push my “competitive button”. It wasn’t long before my college playing experience and abilities kicked in and dominated them. The next day in practice the entire team gave me a much greater effort in every drill and aspect of practice. 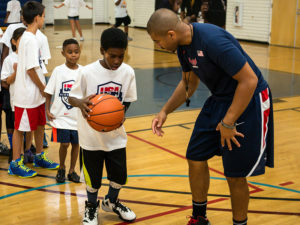 I learned that my authority as a coach had increased. This greater authority was not due to my position — I was still the coach. However, my competence as a basketball player had increased significantly due to a little pickup game after practice the night before. When the author talked about the influence of one’s personality as it relates to one’s authority, he was not talking about being an extrovert or introvert, or a “D” or an “S”, or a “golden retriever” or a “beaver”. We have all taken some type of personality inventory and have been categorized in some way or another. The aspect of personality that influences the degree of authority one might possess is related to the person’s openness or closeness. Here it referring to how approachable are you to those who are under your authority. This is not about being “buddies” with people. It is about developing your personality where those you are leading can come to you and talk about a success or failure, an idea or a concern, or something that created an offense with them. Again, this component of authority is under the leader’s control. Anyone can improve his/her authority by working on developing relationships that allow others to approach you without being fearful. This is very important in parenting. 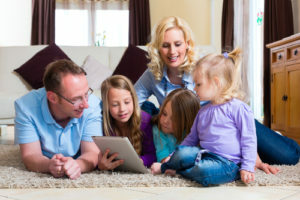 If we do not exercise our parenting authority properly, it can drive our children away from bringing issues they may face in their lives to us. Instead, they end up going to their peers or the world to get their answers to life’s questions. Character, when it comes to being a good steward of one’s authority, can be defined as one’s credit rating with people! We all know how important it is to maintain a good credit rating when trying to purchase a house or something similar. A poor credit rating costs a person greatly. This is also very true when it comes to the exercise of one’s authority. If we are not trustworthy and honest with those we are trying to influence, it will hurt our ability to exercise effective authority over them. 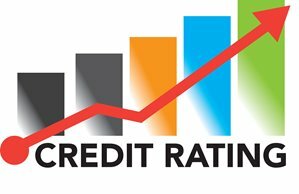 We must develop a strong credit rating with our children and/or students. We must live lies of integrity where we actually do what we say we will do. Let me try and bring all of this together. Last week I shared how I believe that any authority I might have in life is actually given to me by God. Therefore, He expects me to develop and invest the initial authority that He gives me so that it will bring gain to the Lord. Again, it must be understood that authority is a stewardship responsibility. As I shared with you the components that make up any authority we might be given in life, we must grasp the reality that there is only one component of one’s authority that he/she as no control over. That component it the authority one has because of one’s position. A teacher only has teacher authority. He/she does not have administrator authority because he/she does not have the position of an administrator. Every person, however, has control over the other three components that make up one’s authority. It is each person’s responsibility to develop and strengthen his/her competence, personality and character in whatever position one find’s himself/herself. An example may be helpful in making my case. When I first became a parent, God gave me enough parental authority to handle a newborn child. God also knew that I would need greater parental authority to direct and guide my children when they became teenagers. That meant that I need to become more competent as a parent. I also needed to develop an open personality that would allow my children to approach me with any problem or issue that they were facing. It was also very important that I strengthened by character or credit rating with them if I expected them to respect my authority and submit to my guidance. Unfortunately, I have seen parents who never developed and strengthened their parental authority that God gave them when they first became parents. It wasn’t that they necessarily weakened their parental authority. They basically did nothing to strengthen it. They were like the unjust steward who hid his master’s talent in the ground. The result that comes with not strengthening one’s authority is that that person can actually lose any influence over the ones that God wanted them to lead. Sometimes a parent’s authority is taken away and given to another person or group. Here are some questions we must answer as we attempt to be effective leaders and teachers of the next generation. What position(s) of authority has God given to you? What have you done or need to do to strengthen your competence related to the position(s) God has given you? How can you be more approachable as a person in authority to those you are leading? On a scale of 1 to 10 with 10 being the highest, what credit rating would you give yourself in the various positions of authority God has placed you in? What can you do to raise your credit score in each position? Be sure to share your comments about this post or any of the posts related to authority and submission that I have covered over the past several weeks. Thank you, Glen. Your commitment to Christian Education and your deep desire to mentor folks like me are an inspiration!